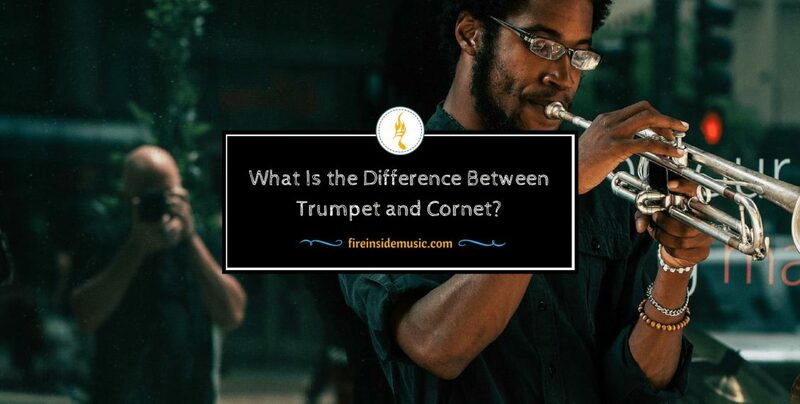 What Is the Difference Between Trumpet and Cornet? As a music lover, I am very keen on playing the music instruments every day. Therefore, I am very happy if you have the same interest and passion as me. 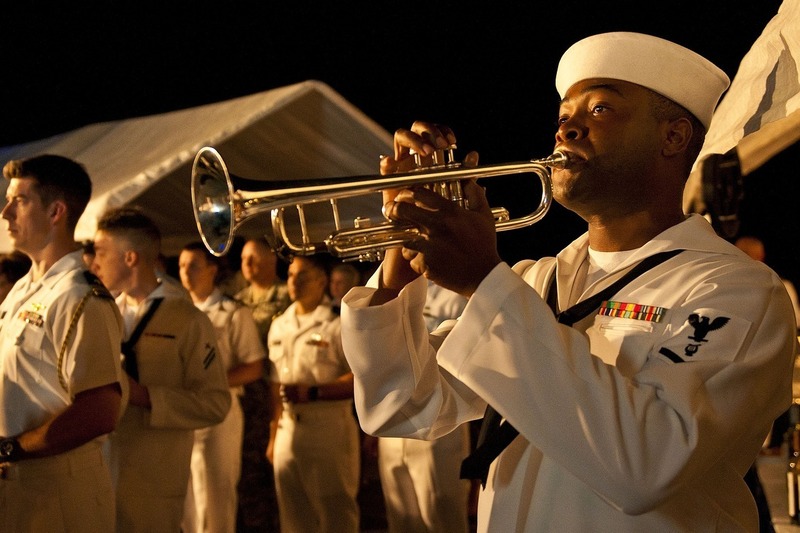 Especially the trumpet and the cornet, they are my favorite when it comes to the instruments. However, I know that many people do not have the correct understanding of these two items. As a result, I am willing to share my knowledge with you. After reading my article, you will definitely know clearly about the difference between the trumpet vs cornet. Is the cornet easier than the trumpet? Depending on your band and the conductor, you may call for a trumpet or the cornet. 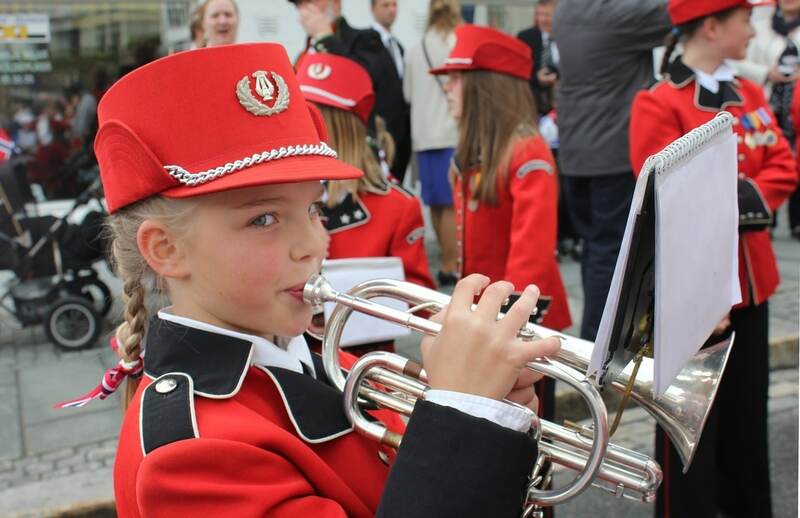 A lot of younger students will begin on the cornet because it is a little bit easier to hold for beginners. However, the vast majority of trumpet players will play trumpet over cornet. As a consequence, I am going to show you the similarities as well as the difference between trumpet vs cornet immediately. Have you ever used these two music instruments before? 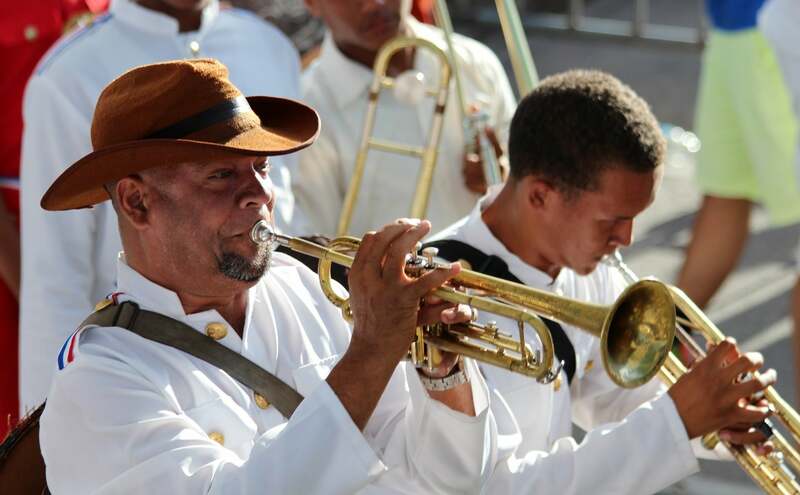 If yes, you will know that both the trumpet and the cornet share some certain similarities. They are usually pitched in B-flat. So, if you stretch the tubing out, the length of the tubing will be exactly the same for both items. Thanks to this similarity, they can both produce a concert B-flat. Moreover, they both have three valves and a very similar shape. In particular, both instruments share the same valve configuration. All three valves of both instruments are the same length. Furthermore, the hand grips are roughly the same. Besides, you need to use the same fingerings, the same breathing technique and the same amateur as well. Also, the valve system is built in the same exact way. Now, let’s talk about some main differences between trumpet vs cornet. Most people are familiar with the trumpet since it is a common instrument in bands and orchestras around the world. As a result, I am going to show you some features of the cornet first. For the cornet, the tubing is more tightly wrapped so that it looks more compact. On the trumpet, it is a little bit more stretched out. Therefore, if we hold these two items side by side and line up the bell at the bottom, you can tell that the cornet looks a little bit shorter than the trumpet. In particular, it is shorter from the bell to the mouthpiece. However, do you remember the similarity? Although the cornet looks shorter, the tubing of these instruments is exactly the same. The second difference between these two is the size as well as the shape of the bore. I think that many people do not know what the bore is. This part is the diameter of the tubing. With the trumpet, the bore is more of the cylindrical board system. This means that the diameter of this tubing stays the same all throughout the length of the instrument through all the different tubing slides. It only starts changing once it gets to the thicker part of the tubing until it flares out into the bell section. Whereas, it contrasts with the cornet. The bore of the cornet changes. The diameter of the tubing of the cornet gradually gets bigger as its length increases. Therefore, tubing tends to get slightly thicker and slightly thicker. Also, it will continue this growth all throughout the instrument. Hence, it is more conical since it is small at the top and gradually gets larger at the bottom. The conical bore will start the same diameter as the trumpet, even on the lead pipe. But it is going to get larger and larger until it comes out to the bell flare. 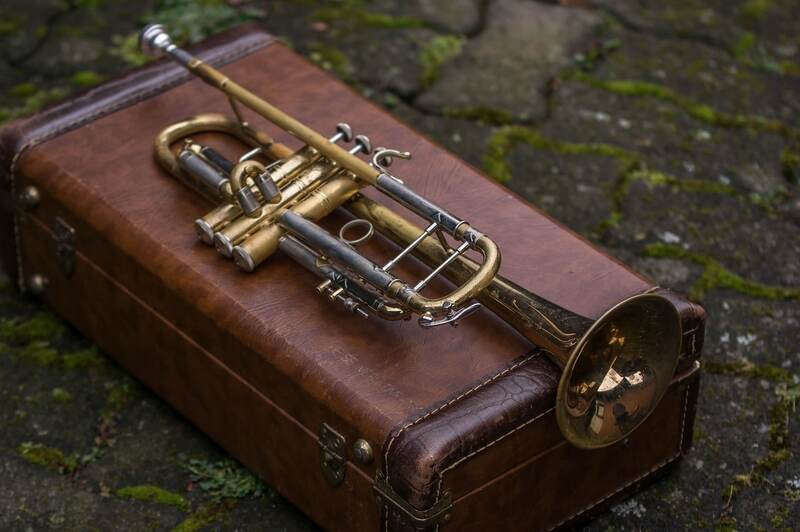 Another different feature to differentiate the trumpet vs cornet is the different origins. The trumpet is simply a development on the old trumpets. On the other hand, the cornet is the development of another instrument, which is called as the post horn. Next, the aesthetic difference between the trumpet vs cornet is the configuration of the lead pipe. The trumpet has a very straight lead pipe that goes around and curves once. And then, it goes into the third valves. Whereas, the lead pipe of the cornet goes twist three times and goes into the third valve. Going to the next point, you can distinguish the trumpet with the cornet based on the valves. The trumpet has the manual slides for the first and third valves tuning. As a result, you can move this in and out by your hand. Besides, the trumpet is provided with the thumb rings and thumb hooks to facilitate the manual adjustment of the tuning slides. In contrast, the cornet utilizes the triggers, which act as the mechanical feature. So, if you push this down, it extends the tuning slide. Moving to the next part, I am going to show you how the bell section of both instruments exits the valve section. On the trumpet, you have the first, the second and the third valves. And well, the bell section exits in a perpendicular fashion around 180 degrees. With the cornet, we have the same first, second and third valves. However, you should notice that the bell section completes the shepherd’s crook. This means that the angle is much higher than 180 degrees. So, the sound continues on its merry way at the end. The difference between the shepherd’s crook and the standard 180-degree bend illustrates how much more the tubing expands as it progresses. Last but not least, the difference of the trumpet vs cornet I am going to talk about comes from the mouthpieces. The mouthpiece of the trumpet is a little bit longer than the cornet’s mouthpiece. Also, the size, as well as the shape of the cup, is different inside the mouthpiece. For instance, the trumpet has a shallower cup. Otherwise, the cornet is produced with a deeper and more V-shaped cup. If you notice, this factor of the cornet is similar to the French horn. As a consequence, the trumpet, together with the cornet, will have the slight difference in sound. And well, do you know which of these two will sound brighter? Of course, the cornet has a little bit more of a mellow sound. If you take the cornet mouthpiece, add a little adapter and put it into the trumpet, you can almost have the instant sounding cornet. In addition, the cornet holds a little more resistance than the trumpet. So, when you play the cornet, you will feel more pressure as you play. Oddly enough, the cornet plays freer though, so it floes better in technique. The answer is no. 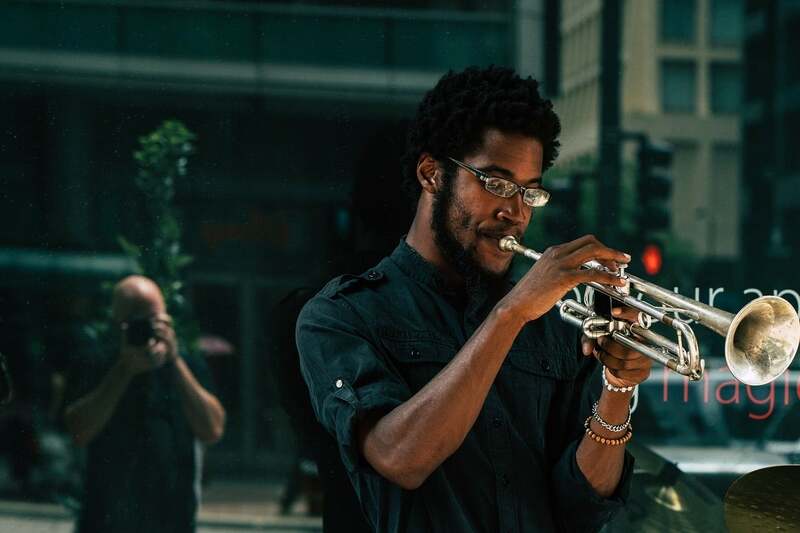 As I mentioned before, you will use the same technique when playing either the trumpet or the cornet. And one of the most important things when playing these instrument is your lips. As a result, I am going to show you the right way to form your lips to play the trumpet and the cornet. You can have a very great habit and your improvement is a lot easier if you have a solid foundation of the good technique. I used to see a number of players really struggle as they try to improve. But they do not have the basic techniques. And until now, I still practice the basics because the best performers in any field still focus on the fundamentals. Do you know what is the key point when playing the trumpet and the cornet? If you are a trumpet and cornet lover, you need to spend your entire career practicing and focusing on the tone. Moreover, you need to patient with yourself and you can develop a nice clear tone. All of the sounds that you hear in the world are produced by some types of vibration. 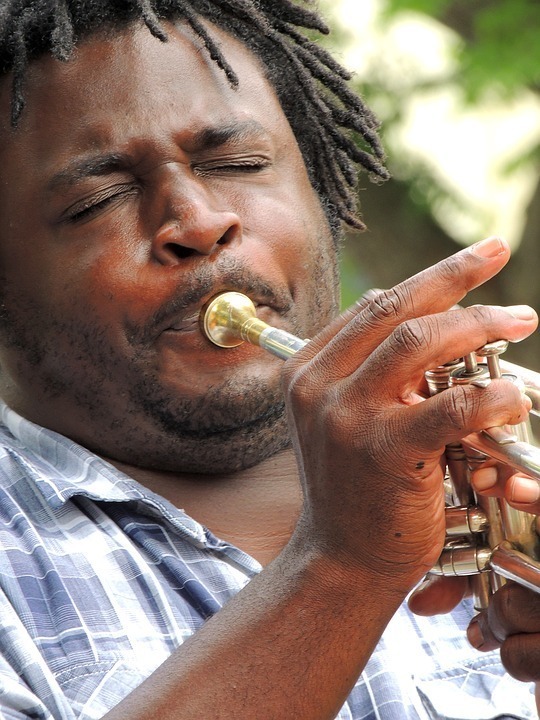 When playing the trumpet and the cornet, that vibration comes from your lips. What happens in the process is the air blows across the lips causing them to vibrate. The essential thing that you need to know is how to produce the buzz. First and foremost, you should dampen your lips, and then try placing the tips of your tongue between the lips. Remember to tighten the corners of your lips and flatten your chin. Then, you should pull your tongue back slightly until it clears the lips. You are going to leave the opening between the lips and blow the air out. At this stage, it should cause your lips to vibrate and begin the buzz. You can look at yourself in the mirror and make sure that the underside of your lips or the wet part are not visible when you make the buzz. If you find your sound really rough, you should focus on clenching the corners of your lips. The shape of the trumpet and cornet is quite similar so that you can have the same way to hold them. You can start by putting your thumbs in front of the first valve and your other two fingers around the others. The ring finger is going through the ring on your instrument and your pinky only needs to rest behind. On your right hand, you can hold your hand as if you are going to catch a ball. Your thumb is going to go just between the first and second valve in there. After that, the first, second and third fingers rest on top of the valves. The forth pinky just rests on top of the pinky ring. Be sure that you are not pressing your trumpet or your cornet into your lips with brute force. You can make a tone just by holding it gently in place and use the good steady air. After getting much experience in playing these two instruments, I want to share some points that are basic techniques. They can support your entire career no matter you are an amateur or a professional. First of all, you need to keep the corners of your embouchure firm. This area will help to control your sound, your tone, as well as your pitch. Secondly, I highly recommend that you should take a deep breath starting from way down in your abdomen. A deep breath is going to support your tone and your range as well. Finally, you should blow all the way through the instrument, which means that you are providing enough air supply. These tips are absolutely essential fundamentals in playing these items. Without these basic and simple skills, it is like trying to swim with your street clothes on. Furthermore, there are many problems when playing the trumpet and the cornet. And of course, one of the common issues is the difficulty when playing the high notes. Firstly, make sure you only hold these instruments in the right way. You only need one finger in the ring. Besides, when you notice that your favorite instruments are for sale, you need to pay attention to the mouthpiece. Many people make the purchasing mistake since they plan on a mouthpiece that is way too big for them. As a consequence, you should choose a light inside diameter mouthpiece. By using this, you have to vibrate across the surface and that takes way more efforts to play high. Another issue that many people usually face is the pressure and the stress while playing. You need to stay calm and relax because what important is music. You need to think that you play the trumpet and the cornet for your interest and enthusiasm. In summary, I hope that all of my sharing will help you to understand about this wonderful topic. In the end, you can distinguish the trumpet vs cornet without any difficulties. However, in case you have any queries and confusion, please feel free to keep in touch with me anytime. Casio CDP 130 Review: Is It The Best Digital Piano?